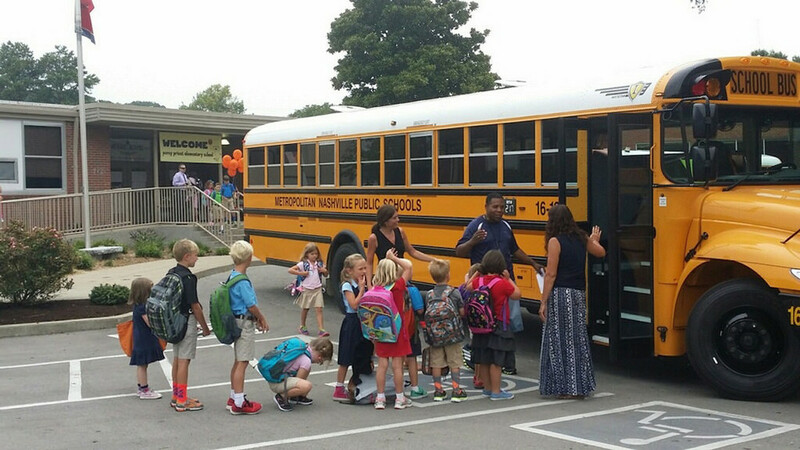 We are committed to providing safe and efficient transportation for our students. All students who attend their school of zone, and who live more than 1.25 miles from school (1.5 miles for high schools), are eligible for school bus transportation. Exceptions are made for certain areas where unsafe walking conditions exist. We use Tyler’s Versatrans Routing & Planning, a state-of-the-art computer mapping and routing program, to create the most efficient bus routes possible. As a result, we are generally unable to provide door-to-door bus service. Find information about your bus stop arrival and departure times by clicking here or on the Find My Bus link. When the link open follow the step by step instructions. If you have difficulty contact the Family Information Center at (615) 259-INFO (4636), emailing FamilyInfo@mnps.org or using the chat feature in the bottom right corner of this website. If your child is in Special Education, Pre-K, or qualifies for Special Services, transportation arrangements must be made through the office from which your child receives these services. Please contact your Special Ed or Pre-K adviser to make these arrangements. If you do not know who you need to talk to, please contact our Family Information Center at 259-INFO (259-4636) to be directed to the appropriate person.